At the Majestic Theater Dallas. Lovely venue…these old historic theaters are too few. More comfortable now, out of the crowded warm lobby and into the cooler space of this grand old theater. I can’t wait to see David!!!! Now looking for row 2, seat 2, PIT. I have to say it over again. PIT, PIT, PITPITPIT!! …I have never been this close for David’s performances. I have only seen him LIVE on two occasions and had to look at the big screens to see him. I am so happy. Squeeeeeeeee! Smiling down the same row to the left at my beautiful new David friends, we agree…these seats are awesome!. OMG, I am so close to the stage! Oooh. Nice seat. Soft and cushy and red. On stage is a big chair and a fireplace that works. OK, I was prepared to be in front of speakers. Gee, hope the speakers aren’t too loud. Gee,there are a lot of them. They are stacked up like pancakes. The DJ’s finally announce David,to applause and screams. All ages here tonight! I love people screaming for David! YEA! A moment passes and still the curtain remains closed. A few more moments…. A radio song is played to fill in the time and then the chants begin DAVID DAVID DAVID! My pulse is racing now. I am so excited!!!! AHHHH! The real music begins, loud drumbeat coming from the speakers, curtains open and band is playing the intro to SBL!!! They are almost to the back of the stage. That’s new. I swear I can hear and feel my own heartbeat now coming through the speakers only 6 feet away. But I recognize SBL! It’s gonna be alright! And then, he appears to be coming from back of stage to my right. The volume on the scream factor up! David is now right in front of me, a little left. He is so beautiful. GAHHHH I feel flushed. He’s full of energy and all over the stage. I could not take my eyes off of him. The whole concert I took 4 pictures. He was so close that when he was standing right in front of me, I couldn’t do it. I couldn’t take my eyes off of him long enough. I wanted to savor the moment I knew was going to go by so quickly. Note: the camera police happened to be sitting to the immediate right of my speakers. The setlist, I know that you know by now. My Kind of Perfect was right in front of me. I could see enough of David over the speakers. The audience went nuts over each song. After Melodies of Christmas, the last song…everyone was on their feet with another standing O for David. We remained standing and chanting until he reappeared and belted out CRUSH. It was fabulous. He performed to perfection for his first concert back with band. His voice was incredibly strong and gorgeous. The new band was awesome and each member was introduced by David and played for us. From his head to his toes he looked amazing. There was a whole new vibe goin on. Tour is going to be amazing! I had a few tears in the car…over the absolute joy I feel inside my heart at finally seeing David last night again. And the touch of sadness that comes when he departs. Can’t listen to TOSOD cd right now. Tomorrow maybe, but not right now. I want to savor the moments in my head of listening to that magnificent voice from row 2 seat 2…..PIT. This entry was posted on Monday, December 6, 2010 at 2:02 AM	and is filed under Uncategorized. Tagged: rambling recaps ftw, sky is not the only dancer. You can follow any responses to this entry through the RSS 2.0 feed. You can leave a response, or trackback from your own site. Skydancer ~ wonderful recap of your oh so special night. 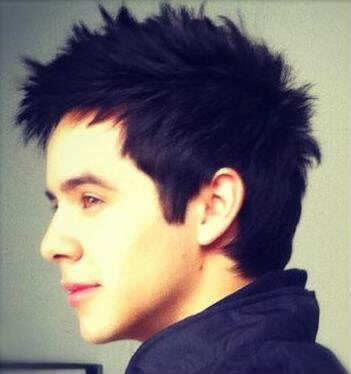 I always love it when someone else says David is beautiful. I think so too! I’ve seen some of the vids. His voice sounds strong & beautiful too. 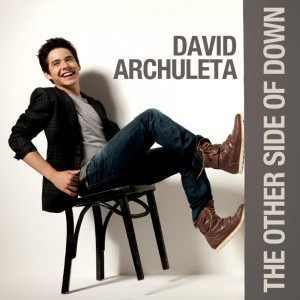 I’m so excited because I’m going to see him @ the Grove, Anaheim 12/29. Can hardly wait. Thank you for writing about the concert. Oh wow! You were at the Dallas concert ? Can I hear more about “The Other Side of Down” dance moves? After watching Hazeleyd71’s twitvid l have gone crazy for the past 2 days. I clicked “replay” on computer and turned myself into an elephant , stretched out my trunk, went rumpeta, rumpeta all around the house Woot- hooing and dancing non-stop. I’ve heard about tarantula bite makes people dance crazily till they die, but I’m not too sure about TOSOD bug. Am I the first victim in the ArchuWorld?! Oh why I always come to “The Voice” to call for help? Hahaha….Ha .. Nevermind,Don’t care about me…. Hi Skydancer!! I am the VERY lucky lady that you gave your daughter’s seat to (because she couldn’t come) IN THE SECOND ROW!!!!! I cannot even tell you how much that meant to me!!! I am still in shock over sitting so close to David! It was just an unbelievable experience and I will always cherish it! Thank you from the bottom of my heart! 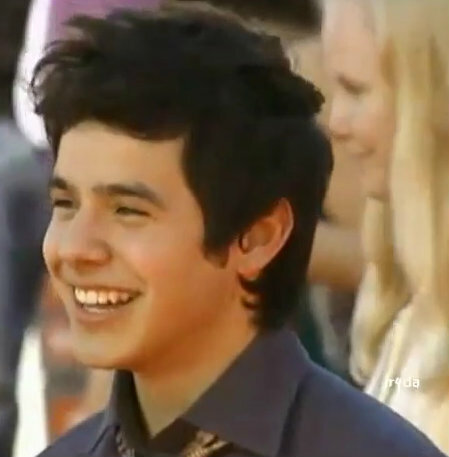 I was amazed at how much older and more mature David looks now. That person who thought he was 12 needs glasses! He is stunning. I am always amazed when I see him in person – I spend countless hours looking at pics and videos but when you actually see him right there in front of you his beauty is overwhelming. Aah, I can’t even think properly so excuse this rambling post! Skydancer, thanks for the awesome recap. I’ve been waiting for one. I love the way you described how you felt in that moment just before he came on stage, and right after. I have not been fortunate enough to see him live yet, but hopefully this next tour will come close enough for me to go. Reading recaps like yours keep the excitement alive for me and make me really look forward to my own concert experience. So, Thanks. Row 2 seat 2….that is so cool Shydancer. I am so happy for you. I loved your recap. Part of the fascination of being his fan is watching the transformation take place and wondering “what just happened?” Annette..I so agree with this. He has come a long way and I am glad I have been a fan from the start and could see this transformation! Skydancer, you had me on the edge of my seat! I can feel your excitement. Thank you for writing this up for us, love your style. “I thought I was prepared. How he is able to transmit this type of electrical energy to us is unbelievable. He sure is one of a kind. Annie, he is absolutely…SO beautiful. awww Fiona! !Made me so happy to see you take that seat!! Thanks for letting me squeeze your hand, arm,leg!haha! I so enjoyed having YOU,sitting in that seat next to me!that was so awesome. MT,the excitement is overwhelming just before David takes the stage. At the Majestic, the sound of subdued chatter turned into a roar as his name was announced,applause and cheers became thunderous as the beat of the music started to play. So awesome and so exciting!! Angelica… I wrote this in such a “David coma”…My head is slowly thawing out from the brain freeze. David cast such a spell over me, I can’t even describe what a useless mushball I have been since Friday nights event.My ODD just grabbed hold of the useful part of my brain and has held it hostage since.I love David with all my heart. Thanks for ‘listening’ to my ramble.Love you guys! Skydancer, your review made me feel like I was right there with you—I loved the way you wrote it. Thank you so much. I must say, I love the outfit. Am I the only one, or does that jacket have a Michael Jackson kinda vibe to it?? And David certainly does it justice—love the way he moves. Our boy is growing up! I’m so in love with all the videos. Thanks to everyone for all the hard work you all do so the rest of us can be part of this David experience. Dja! !How he is able to transmit this type of electrical energy to us is unbelievable. He sure is one of a kind. Well, put!! he’s a bolt of lightning, He electrocuted me!! Davidstopsmyaging…that jacket was A_M_A_Z_I_N_G. The most beautiful shade of soft blue. soft material,detailed beautifully.so sharp with all those buttons, and the profile of him in it,(collar stood up in back,) he was very Elvis looking from the side if you know what I mean, with that black gorgeous hair framing his face…. I think I am having a breakthrough here.Gahhhhh! I really wish y’all would quit making me cry all the time already! Sheeeeesh….. Thank you for satisfying the fanbase with a recap! You know how we love to hear about every little thing. There is no denying the electricity that’s in the air before David comes onstage. And when he finally appears, there are no words for the feelings that come over us. I was a concert junkie and have been to a lot of shows, but David gives me the biggest rush! So glad you got to share it with other fans. That adds so much to the experience! How did you get such good seats? Row 2 Seat 2 Pit? I’ve never had the pleasure of sitting that close. Hope to one day! Gosh he sure looked nice! A. Hit Ticketmaster ready to go after the clock strikes midnight the day tickets go on sale. that didn’t work, dang it! have to wait till 10am.now what?? gloom set in. go to work at 930am. Grab purse at 9:45am Tell manager”I need to run back home and take care of something! !.I won’t be long” (Through the urgency in my voice, I think she believed I needed to change my clothes)sped home,ran into the house,threw myself in front of the computer and was somehow found the seats at 1001. (changed my slacks to a different pair), and went back to work euphoric. Another Majestic video of start of concert…credit peeweeycoraima who mentions something about a ghost?? skydancer – great re-cap, had me right there with you… and @17 – what we do for David! what the heck IS that?? it jumps all over the video. Sky#17: Quite a wild goose chase but so worth it! We get to see more of the bow, etc. She had a great view! Note David’s killer smile at the audience at 4:15. More bowing and touching hands! Be sure to watch until the end! Oh my gosh, I just saw the end of MOC in #22 and it’s a good thing I was at home alone cause I was just shouting out, “that’s it, that’s how you end a show”. I’ve been to four David concerts and I was always thinking that he left soooo fast and it kind of just cut off that great feeling so prematurely. This is a whole new level of comfort from him and I’m sure it was so much more fulfilling for the audience. He KNOWS they loved his performance and he seems to have loved it as well. I’m having a harder and harder time waiting for a concert!!! At least my “concert jar” funds are getting a chance to build up! “I could not take my eyes off of him. The whole concert I took 4 pictures. He was so close that when he was standing right in front of me, I couldn’t do it. I couldn’t take my eyes off of him long enough.”….uh huh. Tour is going to be amazing!” …ieeeee! I had a few tears in the car…over the absolute joy I feel inside my heart at finally seeing David last night again. And the touch of sadness that comes when he departs”. I wonder why this happens to so many? After the euphoria comes the sadness after seeing David in concert. We’re left wondering how long it will be before we can see him again. I doubt fans of other artists feel or have this kind of connection. Thank you Skydancer, for making me remember how it feels to really experience “David In Concert”. BTW, I love your “name”. Yeah, what a great video, the ovation, the amazing Crush performance, the genuine and classy exit by the artist and the heartfelt appreciation of a great audience, it gave me tingles. skydancer, I don’t know what that is, reflection of some sort? IDK, but I do see something. pandasma sure delivered with these great videos…wowowowowow! David is in Sacramento! Must have had dinner with the governor and will be on TV in the morning! In Sacramento with the Governor! 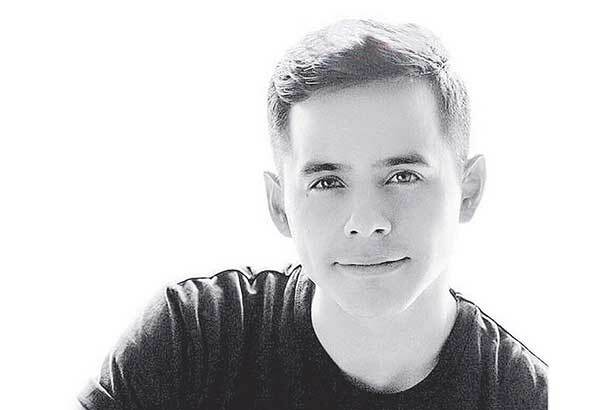 Look for @DavidArchie on Good Morning Sacramento in the AM! 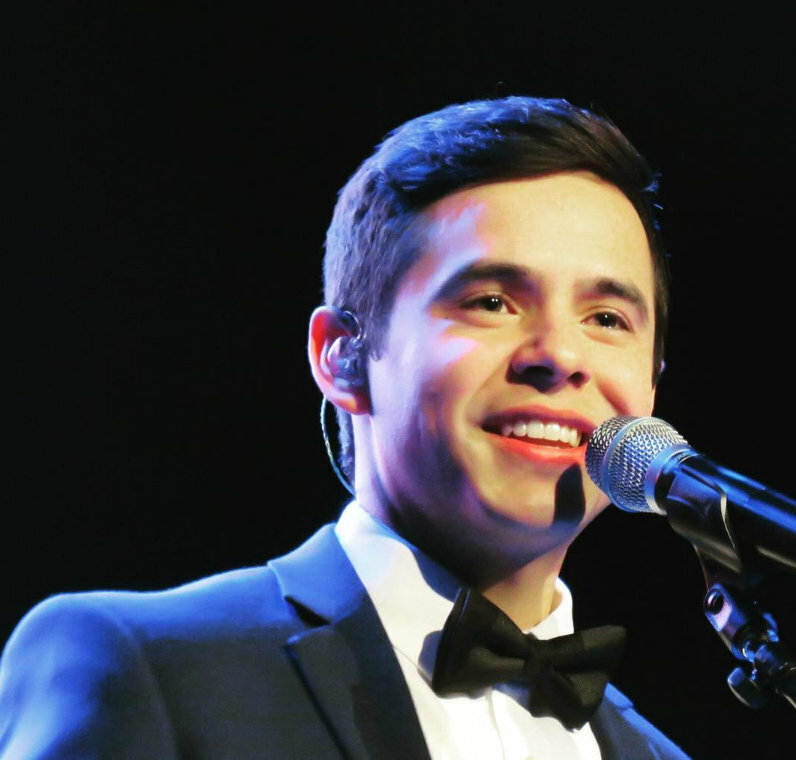 David will be performing at the State Capitol Tree Lighting Ceremony in Sacramento, CA tomorrow night! The festivities kick off at 5 p.m. PST. Along with the Big Cat week shows, Nat Geo Wild will also air a series of interstitials dubbed "Cause An Uproar" that highlights the plight of the world's large felines. The spots, which feature such celebrities as David Archuletta, Tamara Taylor, John Francis Daley and Casey Anderson, will run on Nat Geo Wild well beyond Big Cat week and into 2011, according to network officials. thanks dja! So THAT’S what he was doing for Nat Geo! I hope I catch it! Psssssst. 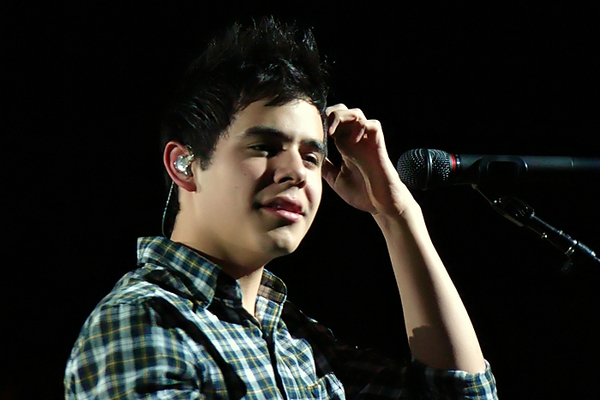 You should tweet @Enrique305 and tell him to take @DavidArchie out on tour with him. IT’D BE AWESOME. @enrique305 Psst. 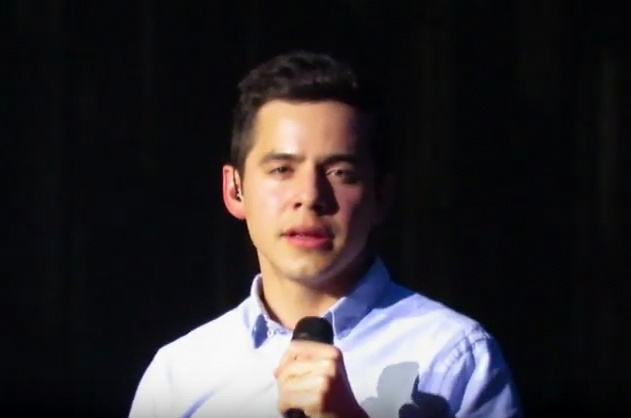 you should take @DavidArchie on tour. #JustSayin. David is going to be on GoodDay Sacramento? it starts at 4:30 and ends at 10am, what hr is he going to be on? 8am hour it looks like. News coming tomorrow or day after!!! 34 dja, how do we get 500,000 people to tweet that? 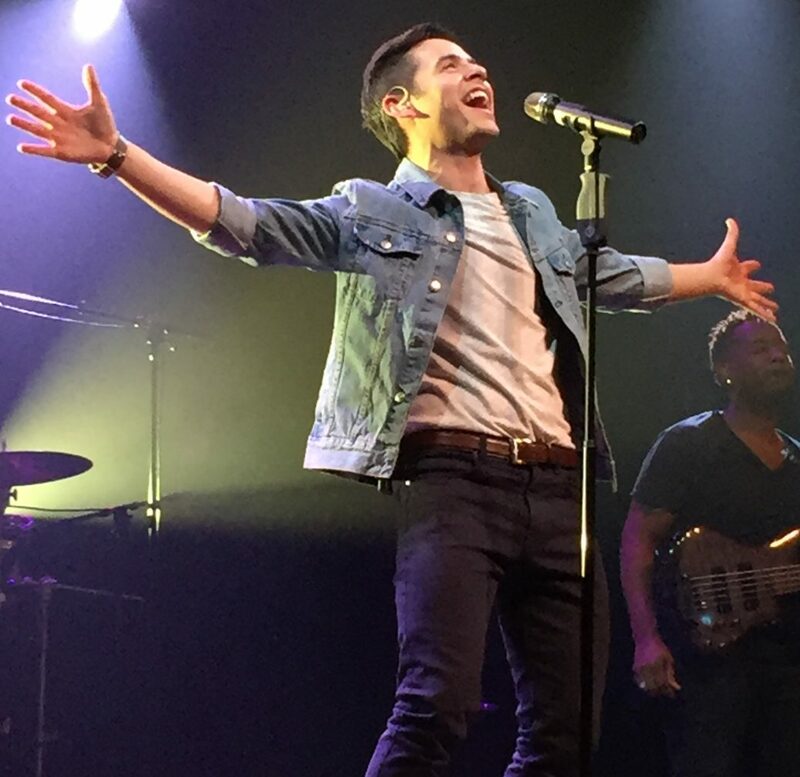 This from ticketmaster…leave a review if you were David’s concert at the Majestic in Dallas. Wonderful recap skydancer and congratulations on the fantastic seats. 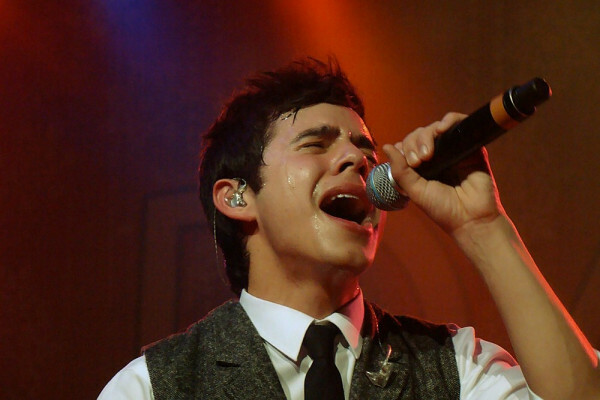 I want to be that close to David while he is performing again. When I saw him on his first tour in San Antonio in that packed little club, I was about 10 ft away and it was amazing. Now would be even better. Bebereader, thanks for posting my videos. Sorry I didn’t record SBL, TOSOD, and ALTNOY. Security was roaming the mezzanine at the beginning and so I just snuck in a couple of stills but then I noticed that they were only going to people using flashes so I took a shot at it and just kept going. Thanks for writing your recap for us. Your sharing of the anticipation and excitement of attending live concerts is a gift to those who must stay home. I am so excited that Fiona got that ticket. I knew you would give it to someone special. It is no wonder you didn’t feel prepared to see him when he came out on stage. He is evolving so fast in his beauty and craft that daily concerts would be the only way to keep the shock and awe under control! Who am I kidding????? As I watched the videos posted by the lovely Bebe, my screen literally froze up in 2 places that have been discussed here in comments. Thank you for posting the link to your blog. I really enjoyed it. It was a night well spent ! Abrra! This last picture! David was leaning and reaching so far forward…and so was I. I might have been the last one, but, CONTACT! his fingers were soft and warm. skydancer, is the purple sleeve you!? 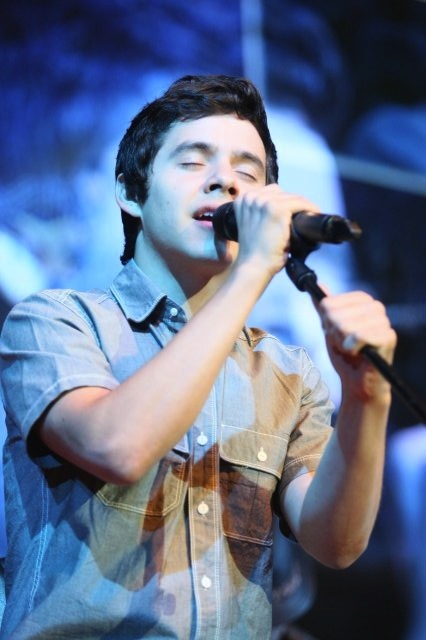 Abrra, you..quick study, that’s an understatement; kinda like..David sings. No, purple isn’t me, but I am there somewhere.He really reached to make sure he got to my hand..so sweet. Pandasmama, Read your recap, I loved it, what great memories and thank you so much for the videos, I spent all evening yesterday watching and rewatching. 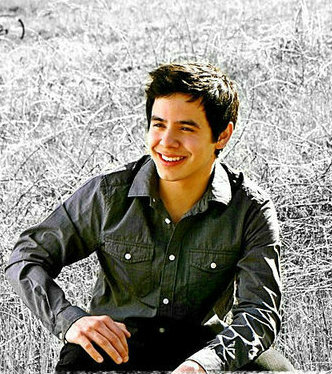 David Archuleta will perform on Fox’s New Year’s Eve Live! 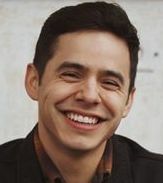 Hip-hop sensation Travie McCoy and American Idol season seven finalist David Archuleta will perform on Fox’s New Year’s Eve Live. The special will be hosted by Nancy O’Dell and feature celebrations from both Mandaly Bay Resort & Casino in Las Vegas and the famous Times Square ball drop in New York. New Year’s Eve Live will air live at 11 p.m. ET/tape delayed PT on Dec. 31.
their fist and last names, and hearing “music director,Hans Nielson”, well, it was just awesome! and David was so loving it. I felt so proud! 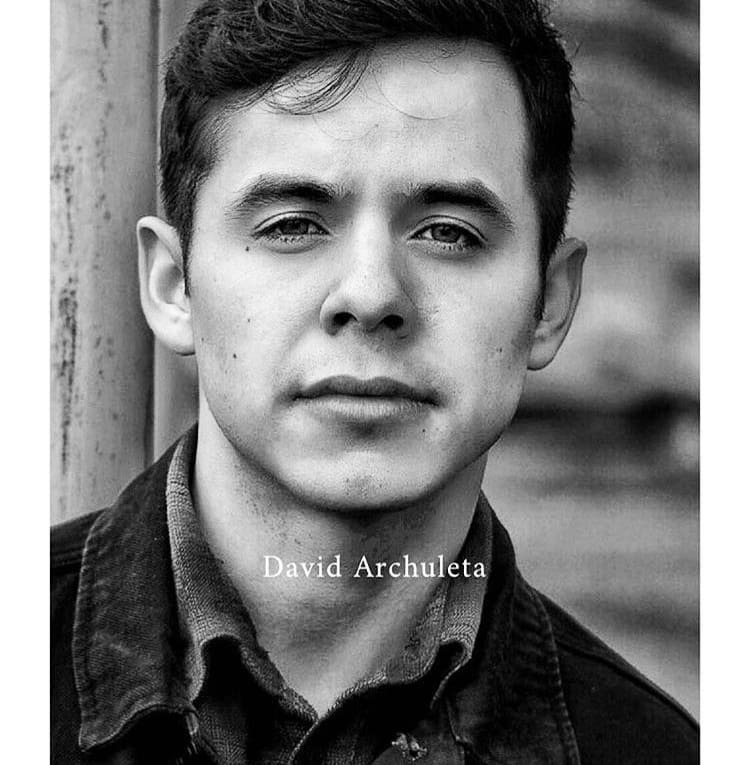 It is amazing to watch this all evolve.David is PERFECT, but nice to see how changing things around HIM is working.EEEKK! this is such a thrilling journey! !! what a great night you had !! I think you have very good memory. From recap to comments, everything you described is so vivid and clear. Really enjoyed reading them. Thanks so much! This from USA Today Idol Chatter! 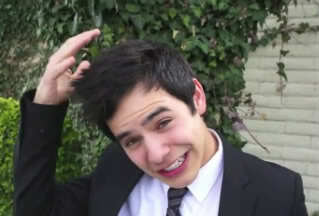 hahaha… David really occupies your whole mind, right? 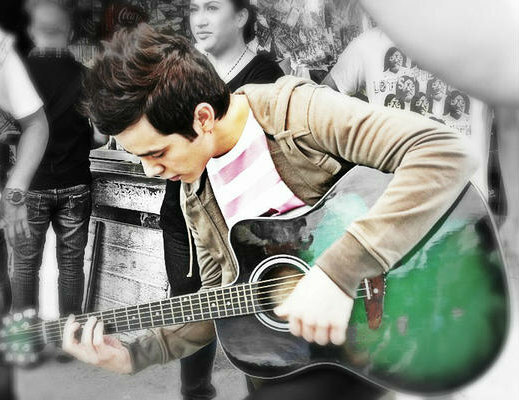 I just went back to watch TOSOD video again`~sorry, told you I’ve caught the TOSOD fever! The way he took the bow reminds me of Mr. Darcy from Jane Austin’s “Pride and Prejudice”. Don’t know why, it just looks too elegant to be like a modern American young man. Hope you win your M&G pass. I hope I do too, I got people keeping in eye on twitter to get a hold of me stat if any news of how to win m&g’s comes up! Oh my David causing an uproar!!! Run and watch the twitvid!!! 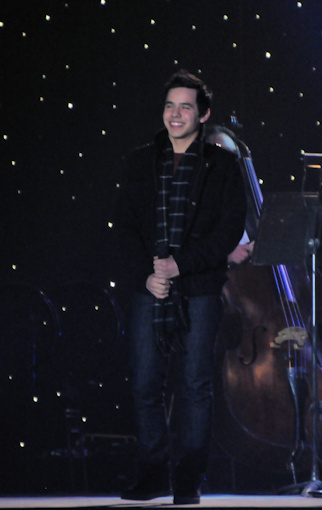 David performing on a major network on New Year’s Eve!! This is big time!!! WTG to whoever got him that gig! If you look back on what David has been doing in the last few months, it’s very apparent that someone is doing right for him. Pandasmama#40 Your videos were great, the best we’ve seen yet. IMO! You captured something that wasn’t in other videos. Your view was awesome! Thank you again! Looking forward to reading your recap. I know what you mean! The elegance, the sophistication, the grace! David in Sacramento from Good Day Sacramento! can you get my boy a few dates on that world tour?? @DavidArchie meeting some of the people who showed up early while doing sound check at the Capital for the Tree Lighting! Scroll down to the video here. bebe, woohoo for the New Years Eve gig! I think Melinda is working hard for her boy. wowarchie, aahh Mr Darcy, love the comparison! Love the Nat Geo promo. Is it me, or did he really stand out in that video. I made some screen caps from the live stream. Happy holidays from me and my new buddy David Archuleta! ” Is it me, or did he really stand out in that video. Abrra,these pics are killing me.He is just looking so awesome these days. “whistling” while waiting for videos from tonight…. Abrra, that has got to be one of the cutest pics (of both of them, seriously) and if that caption is the mayor’s, I adore him. 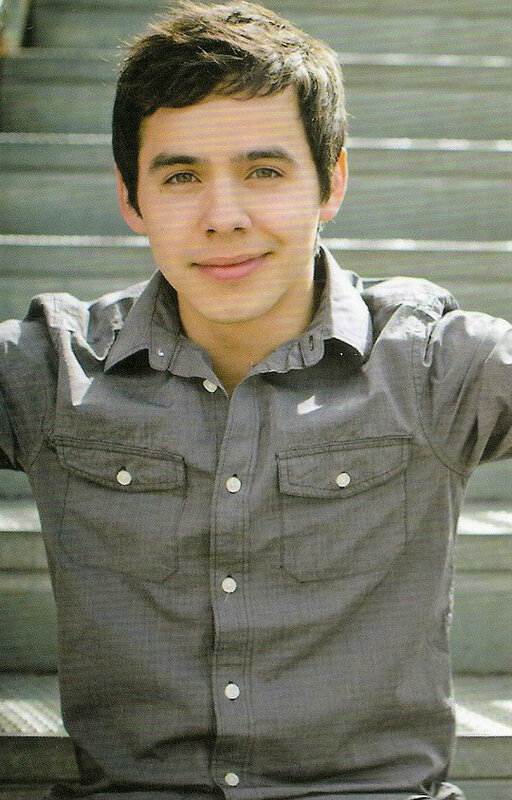 that beautiful skin hair eyes teeth shirt pants VOICE eyes eyes ————–thud! He looked and sounded wonderful tonight. Both of those renditions were among his best I think. Googled the mayor….KJ, Kevin Johnson, former NBA player for the Phoenix Suns and Cleveland Cavs. Thank you for the wonderful recap SkyD. I pictured myself there with the crowd – and loving all his performances. 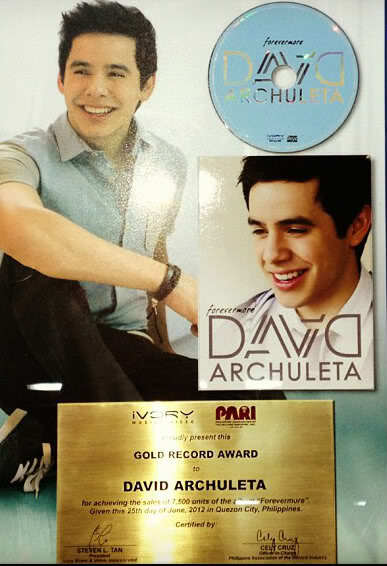 Im so very proud of David! Sometimes I think my heart can’t take it anymore -……..
Was able to record the whole Tree Lighting Event but I had to work so I wasn’t able to check why what I uploaded this lunchtime only completed later afternoon – weeeeird! Eerrm, has EMBE seen the Cause the Uproar vid? Where he literally (and I think that am using the over-used word properly here) rips open his shirt? I hope she is getting enuff sleep… ya know with the baby and all… That boy can really be lethal if he chooses, geesh! VLM – hello!!!! Am so sorry that I wasn’t able to reply to your text shortly after David left. Was swamped w/ work — LOL that’s what I get going on leave when David came to Manila. Jackryan4DA, Cause the Uproar vid???? Is there a link? Love the third pic…did someone send him a sweet text? Loved the recap, Skydancer! All detailed and rambly, just perfect! #82 skydancer, my thoughts exactly!!!! Aaaaah! get to promote CFTH today! !It’s my turn to bring the Christmas music to be played in the store for all the lovely Christmas shoppers , and we have been very busy!!! !Woo hoo!! Thanks Jr! You always come through for us! Yes, beautiful intro and loved the Governor’s face as he applauded for David. dja David’s soundchecks are just like real performances.You almost forget it’s a soundcheck! More pics from yesterday’s event. and “Melodies of Christmas” Great sound! Oh yeah, I totally forgot to mention it here, on the Voice, that I’m multiplying. Yes, I’m gonna have a baby. My hormones are a mess as it is, and David’s rrrroaring isn’t helping AT ALL. I WILL cause an uproar, David, for you are lethal! So many great pics and vids from just 2 songs and a meet with fans. We are truly a blessed fandom. Angelica, yes, Archumaiden has become familiar to this baby for sure. I’ve been playing a Christmas tour CD that Abrra has made in my car, and both TOSOD and CFTH are on repeat in my gym class. And in Pete’s car it’s always either Radio Rock or Maiden, since as you well know Pete would love to have Bruce Dickinson as the father of his babies. And no, there are no typos in that sentence. I’ve gotten a lot of comments on CFTH from the seniors. They l-o-v-e David 😉 One lady said “Voi että, tuo David se vaan on aina yhtä hyvä”, meaning “Oh, that David never fails – he’s always so great!”. And one man said “What a fabulous arrangement” when I played `Joy To The World´. David has made an impact for sure. Go to WEGMusic.com, WEG’s new website and leave comments on TOSOD! I don’t think we’ve seen this one, surprised a school in Singapore! Congratulations to David’s go getter fans! The Other Side Of Down won!!!! This site has a poll, scroll down to vote!!!! He’s dropping here, please vote! Hi everyone! My heart is so full now I just feel like crying with joy!! My friend who came with me to see David in Dallas just gave me an early Christmas present! (I gave her David’s CD!) She had taken some beautiful photos with her nice camera from the concert and framed 3 of them – absolutely gorgeous. Then she made me a whole album of pics with captions next to them about all the fun we had! I was so touched! One of the nicest things someone has ever done for me! She is going to put the pics on CD so I will upload them asap to show you all! Yay Fiona! What a nice friend to do that for you! Can’t wait to see the pictures! 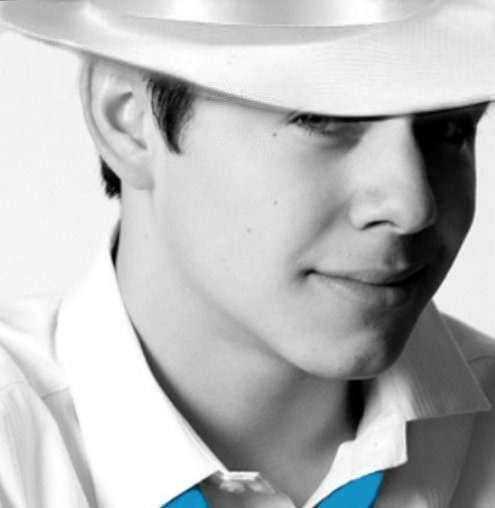 @DavidArchie has the best fans we’ve ever encountered on twitter. you guys rule! what a lucky guy. 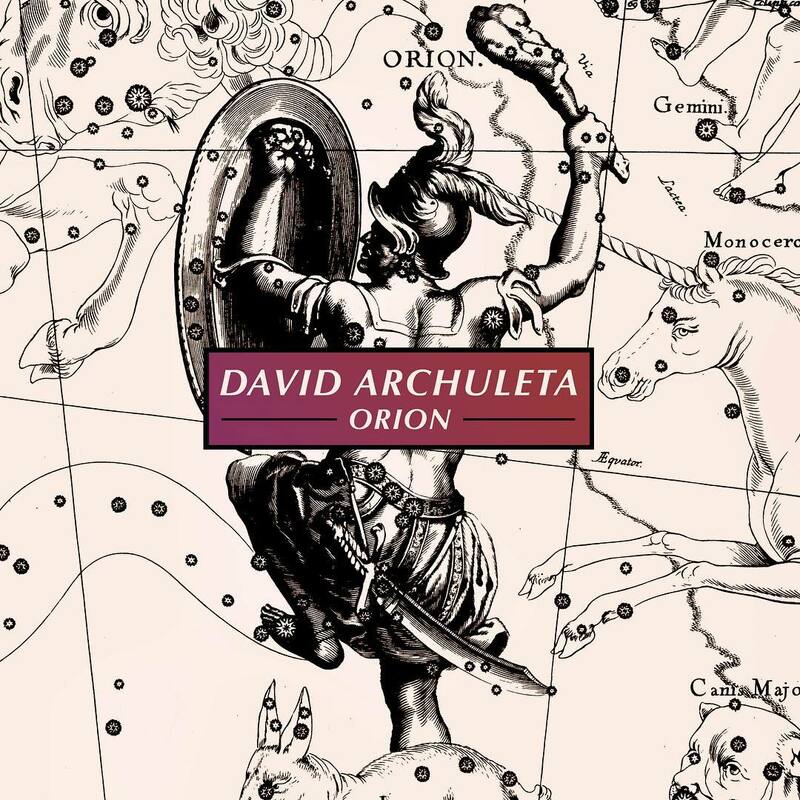 Top ten album winners, David #1! My dad & I decided to walk around the building. We found some other girls waiting outside a door with a security guard so we waited 20mins or so then continued walking. We got to our car & my dad asked “Do you want to leave or walk around again?” & something inside said to walk around more. Also because David hadn’t tweeted yet & he usually tweets after he has left the venue or as he is leaving & he hadn’t tweeted yet so I figured he must still be there. I’m confused right now. I look over to the stair case & I see David through the slits tweeting!!! Then 15 seconds later buzz buzz.. I looked over & saw Davids aunt & she had a huge smile on her face & told me to come to her. So I walked over grabbing my book out of my bag. Right now David walked over to the statue in the middle of the Capital & took a picture of it. Then Davids aunt pushes me a little & says “Go say hi!” I was timid & was like uhhh & she told me “Go say hi!” then David turned around & with a big smile on his face “HI!! !” *walks fast towards me* David had lots of family with him & they were all around us just smiling at me. TOSOD was so underrated and not given enough of a chance by non-fans. So yes, let us fans be the first to proclaim that it was indeed the best album of 2010! WTG David! He deserves every honor for an amazing CD. Thanks for bringing Sarah’s recap here. Always such a good feeling to read fan encounters especially one like this, from a fan who said she once waited 12 hours to see David, who is so worth the wait. She’s adorable and a lucky girl to get a two-arm hug! She deserved it! 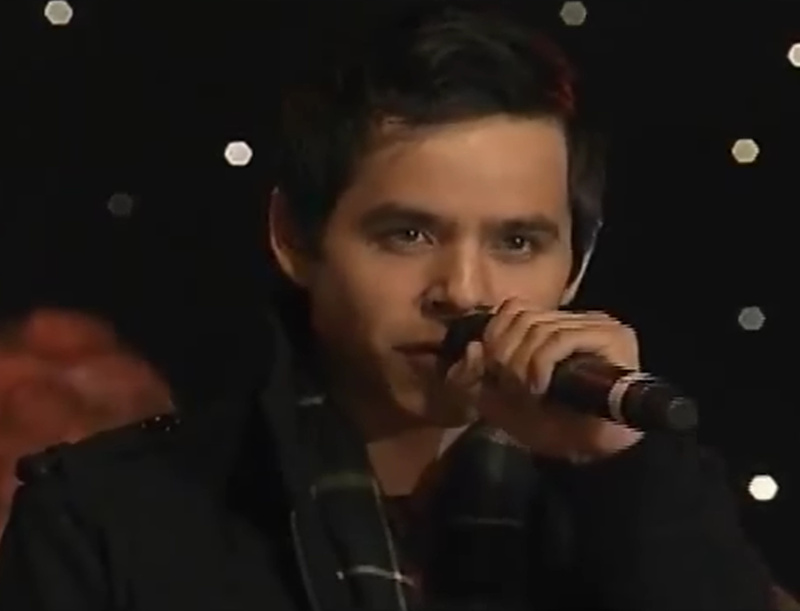 @davidarchie you singing “falling stars” was amazing!!!! It’s absolutely my favorite song, excellent job. Oh my Stars! Falling Stars was Pure Heaven. Just David no Skaters. Please Fox air this performance too! 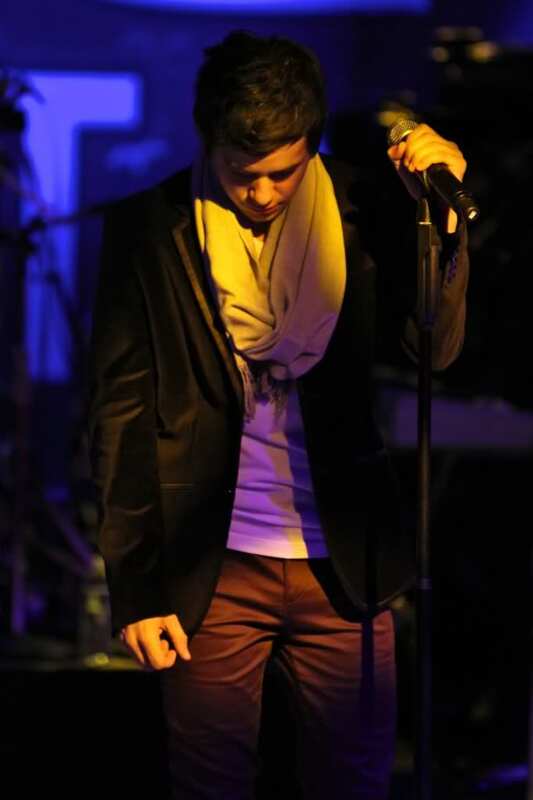 omg @DavidArchie doing Falling Stars on his own!…..DIES!!! Can’t wait for tv show!! Wonder what else he sang tonight? 113.silverfox. awwwwww. That story is so sweet!She is adorable. BTW were your ears burning this past weekend? I heard so many nice things about you! (also, I love your name too)Do you know there is a really nice restaurant in the DFW area called the Silverfox. Everytime I go by it, I smile. 111. Fiona,what a wonderful gift your friend gave you.I enjoyed meeting her too.Can’t wait for the pics! 102 Embe! congratulations on multiplying!awww! How sweet is that recap! I was grinning from ear to ear the whole time. She is such a cutie! Hey all! I can’t seem to post on the Motab ticket site–is it closed? Kaycee: We’re checking it right now. Up close video of David signing autographs before Sacramento Tree Lighting! So cute! I fixed the MOTAB page. Try posting a comment now. that close up video! at 1:45..”and what was your name” (looking right at her) Bet she won’t forget that! Wow! I think it’s been almost a month since I’ve been able to check out videos of David or even get on this site. My teenage daughter (and fellow concert-goer) became very ill about a month ago and after weeks of great discomfort, hospitalizations, and stumping doctors was diagnosed with a very rare and serious disorder. She has just started a very aggressive chemotherapy and steroid treatment, and we are hoping for the best. Her spirits were quite low today, so we went out driving, and she turned to me with such sad eyes and said, “I just want to listen to David.” So we stuck in TOSOD and then CFTH, and the heaviness seemed to lift and the sadness seemed to fade. Oh dear Kaycee, my prayers and thoughts are with you and your family. No child should have to endure such pain. Godspeed. kaycee, my heart goes out to your daughter,you and your family. Nothing hurts more than when our children are hurting. Please know that you are in our thoughts and prayers and we are all here for you.